We Were Never Here (Paperback) | Let's Play Books! 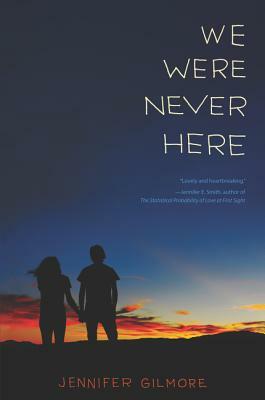 Jennifer Gilmore is the author is the author of If Only and We Were Never Here as well as three novels for adults: The Mothers, Something Red, and Golden Country (a New York Times Notable Book, a finalist for the Los Angeles Times Book Prize, and a finalist for the National Jewish Book Award). She teaches writing and literature at Harvard University. She lives in Brooklyn with her husband and son. Visit her at www.jennifergilmore.net.